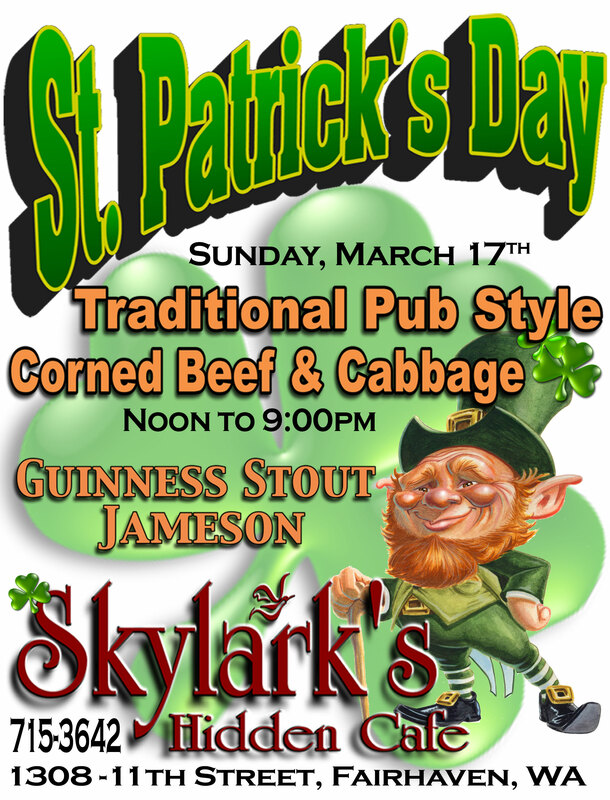 St. Patrick’s Day is Sunday, March 17. Skylark’s is the epicenter of the party in Fairhaven. 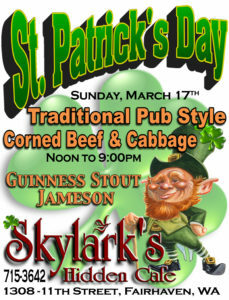 Jameson Irish whiskey on special, Guinness on tap and the BEST CORNED BEEF AND CABBAGE in Bellingham (300 pounds!). Put on your green and join the fun. It’s casual pub seating so no reservations. Romance is in the air. To help you celebrate, we will be offering a special three course meal finished with a spectacular raspberry infused chocolate mousse created especially for Valentines. Or, if you prefer a la carte dining, we will be offering our full menu until 10:00pm. 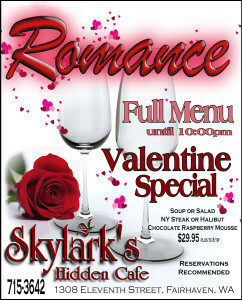 Skylark’s is always a great date place, and on Valentine’s Day we pull out all the stops! Reservations are recommended.